Throughout our 61-year history, Catholic Charities of Santa Clara County has delivered culturally competent, integrated social services to underserved and low-income families in Santa Clara County. Ranging from economic development, housing, immigration, refugee resettlement and educational services to behavioral health and wellness services, Catholic Charities' programs directly serve 37,000 individuals each year meeting the complex needs of vulnerable local children, youth, seniors, and families, in particular recent immigrants with limited English proficiency. Our approach is to provide a "hand up, not a hand out" by helping people develop the skills and resources to help themselves. 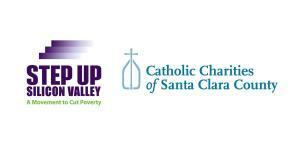 Catholic Charities' commitment to improving the lives of underserved and low-income families is underscored by its launch of Step Up Silicon Valley. In response to the growing social and moral crisis of poverty, Catholic Charities USA launched a national campaign in January 2007 to reduce poverty in the U.S. by 50% by the year 2020. Catholic Charities of Santa Clara County launched the local coalition of this campaign by convening ninety representatives of local Santa Clara non-profits, social service agencies, businesses, faith-based organizations, and government. As a result, we created Step Up Silicon Valley: The Movement to Cut Poverty in Santa Clara County. Step Up Silicon Valley focuses on three strategic areas to achieve our goal of poverty reduction: (1) promoting awareness, (2) advocating for policy change, and (3) incubating innovative systems change projects. Step Up Silicon Valley is a social innovation network that ignites ideas and turns them into action. We are a platform that sparks discussion among community members who then ideate and incubate new and untested models and solutions that disrupt ineffective systems to helping individuals move out of poverty. Open to innovation and collaboration among community stakeholders, Step Up Silicon Valley places Catholic Charities at the forefront of social innovation as one of six anti-poverty laboratories in the nation.